Underfall Yard Trust is delighted to announce the launch of a new guide book: Heart of the Harbour: The Story of Underfall Yard. 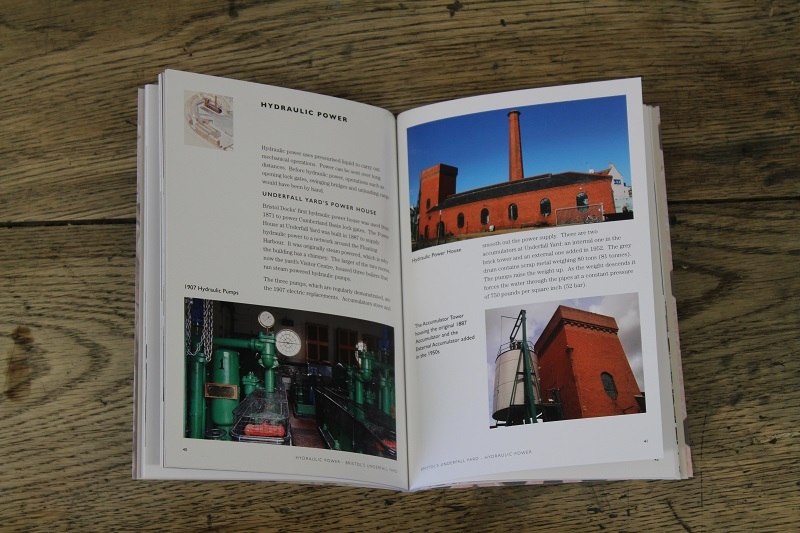 The book tells the fascinating story of the yard, which is bound up with the River Avon and the Floating Harbour. The book covers everything from the original course of the tidal River Avon, which ran through Underfall Yard; the creation of an Overfall Dam for the Floating Harbour on this site; the complete redevelopment in the 1880s to build a Docks Maintenance Facility; all the way through to Underfall Yard today. With kind permission of Bristol Museums, Galleries and Archives and Private Collections, we have been able to reproduce some amazing paintings, maps and photographs to illustrate the history. The Trust’s own collection of images brings the story up to present day. The Guide Book is available to purchase from the Visitor Centre for £5. If you are not able to visit us here in Bristol, please contact the Trust Office 0117 929 3250 to arrange for a copy to be posted (p&p charges depend on your preferred delivery method).